At Dolan Restoration & Construction, we understand that you were not planning on a major storm damaging your home. Because of this, we are pleased to offer you special financing programs to make this process a little easier. Whether you are facing a large deductible, want to add upgrades to your home, or are denied repair or replacement costs by your insurance, we can help you with financing options from as little as $1,000 up to $100,000. With Dolan Restoration & Construction financing options, you now have more purchasing power than ever before. Take advantage of our financing options to get the benefits of the best products, services, and warranties on terms that are flexible with your financial needs. *Hearth is a technology company, which is licensed as a broker as may be required by state law. Hearth does not accept applications for credit, does not make loans, and does not make credit decisions. 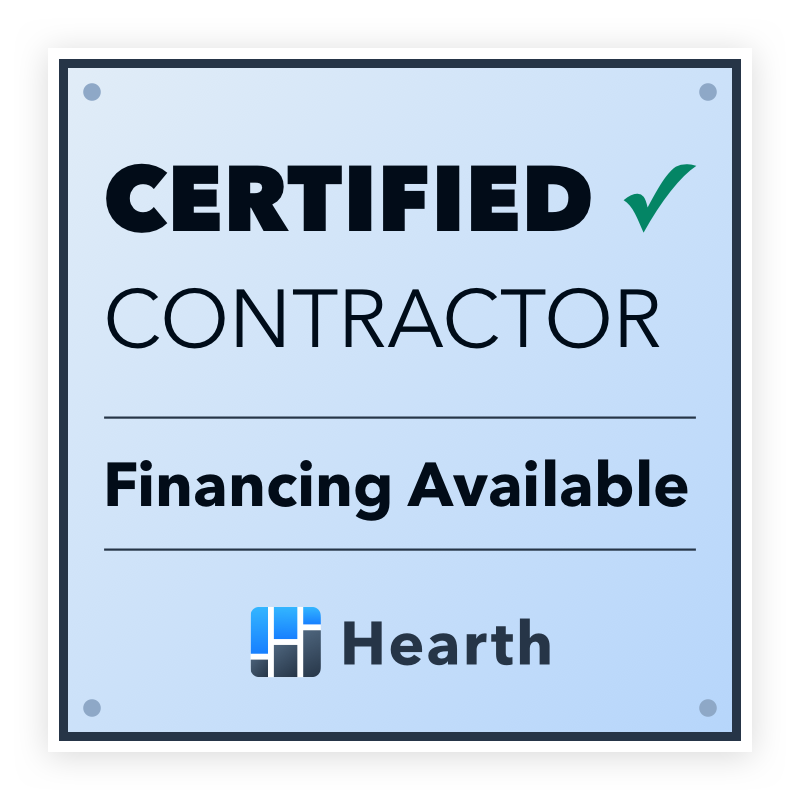 Hearth works with various lending partners to show customers available financing options; all loans subject to credit approval.